Protocol in getting a puppy - AKC Standard Poodle Puppies For Sale, "Royal" in Marketing terms, larger then most Standards is my focus! One can call them Royal, Large, or Giant Standard Poodles, ALL are Registered with AKC. A) Fill out Form at the bottom of this page if interested in one of my pups, section #4...Review the website to learn of me and see if the site can answer your questions...Form FIRST, Tes responds, then you call for interview if further interested > Tes 737-932-5030 - Thank You! 1. TI references this form with your date of contact and interests if/when you call for an interview and can go over the protocol in getting a puppy. Please share a bit about yourself on the form. 2. An interview may take an hour. Please have this website up to view. Bump ups/bump backs will be discussed as TI takes only so many down payments per litter, knowing more pups may be born (or less) to accommodate the balancing of the customer's desire. Assure you let her know your definite interests as; M, F, or either M/F! She will place in parenthesis (bump up and other info) accordingly. 3. 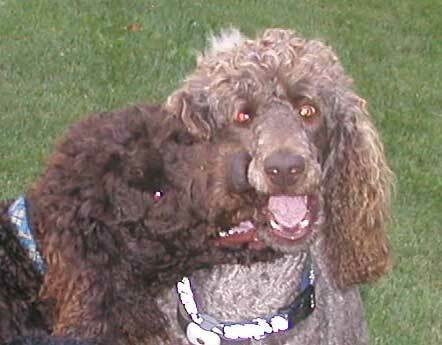 When we are comfortable in moving forward together and you understand the Protocol in getting a puppy you may place a $400 down payment for a Royal Standard Poodle Puppies for Sale. I do my best to be fair to all involved, thus the protocol in getting a puppy...and Life Happenings as well as Mother Nature. Your patience is appreciated. 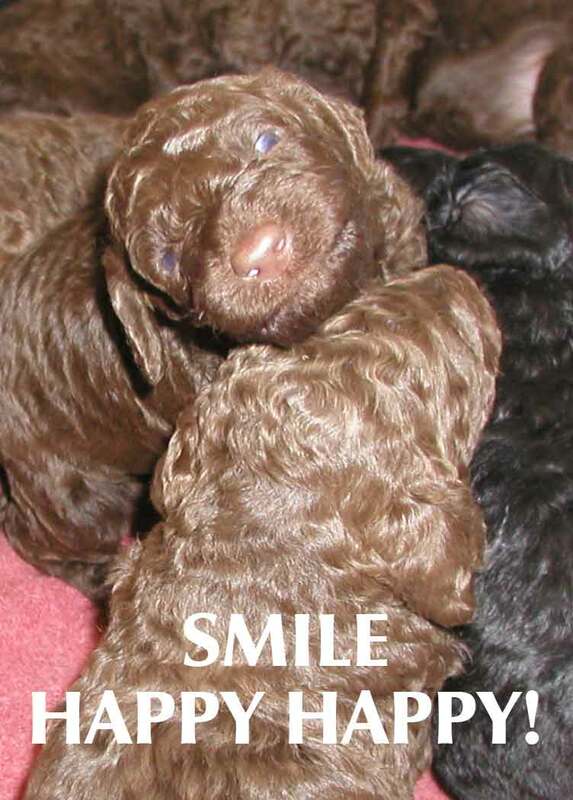 Smile, I'm doing my best for you with testing each parent in what is required for the poodle breed and more, see each parents link at the left tabs to see what tests have been completed for each to their age :o) Their size and weight are included. In breeding, TI works with our largest parents to breed up to the same size and larger "Royal" pups. 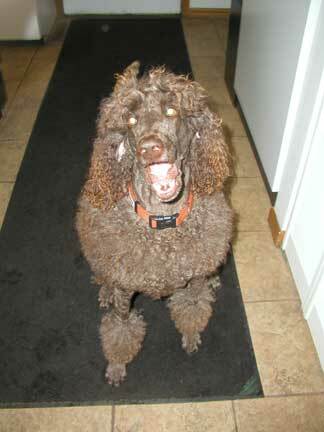 This does include line breeding to work for the Royal Standard Poodle size desired. 5. "Service Dog" Lookers protocol in getting a puppy - a) I will take on as a customer individual/groups training a pup to become a service dog "For Others." b) IF "individual's" want a definite service dog, NO contract will be used...there is NO guarantee a pup will succeed. A pup will be sold AS IS with no further guarantee. Spay/Neutering is required. IF one wants a contract, it will be a "PET" contract as on the site reads with NO other expectations...if you're successful, congratulations! You are now number 1. on 6/4/15 (the phone interview date) a down payment commitment was made (check will get into mail today/tomorrow or cc payment to be made, I am respecting you send this as promised immediately as I have now committed the spot for you) for a Male...next here would come if one shared specifically a "Royal" size or a "Standard" size desired, if it didn't matter what size I either place nothing or I may write "size open"... then...a Black/Blue pup choice was committed to by Tes Ingebritson of Flatonia, TX (one may desire a specific mating...Zain x Bruno or bump up when opening), or other specifics may be placed in parenthesis. It is important to let Tes know gender; M, F, or M/F, as customers on the list are looking to know if they have an opportunity for a gender opening or must wait until that customer chooses their pup by 6 wks of age (that's the MUST pick date). Changing genders becomes a frustrating point for those watching on the list as they considered themselves to have that pick before you changed your mind. So, it is important to know your desire; M, F, or M/F...either. That is how it story boards to the agreement in the interview. Tes does her best to get it on the site immediately, becoming pretty set in stone. In getting onto the site I am respecting your commitment in coming on board at that point in time. If you see it isn't quite what you desire you need to let me know RIGHT away! To change your mind at time of birth doesn't work with those around you on the list hoping for their choice as listed. Being open to gender, color, size may/may not help me. Your knowing what you want to do is important. "Protocol in getting a puppy "
Our first dam Zain, 55 lbs, had an Apricot 100# Royal father who established our Royal line of "A Perfect World" puppies. She was a dark (holding) brown talker always making us smile. Thank You Zain for your Royal Standard Poodle Puppies for Sale. Being placed on a future season's list one understands they will be placed with their date of down payment, in order 1, 2, 3...as they desire to move forward. There will be a list only for seasons beyond the current ones. No pairings established as I cannot know in advance what Mother Nature has in mind in the months ahead of who will come first. You may request a desired spoo pairing, yet understand it might not happen...thus open to other pairings is appreciated. If you designate a specific pair, you may be passed over when something opens up that could have been your color/gender/ size. Mother Nature has the last say in what is born to who! Just making sure you understand. Once the current season's litters are born and a wk old, and more puppies are born to what has been initially established for their down payments, TI starts calling those on the future season's list to see if they'd like to be bumped up. Of course if one is open to color and gender one will be able to get their puppy sooner then later. When TI calls you from the list and gets an answering machine, it is important you call within 24 hours as TI must keep moving forward to place the pups into their loving home. Others are anxiously awaiting to get their new pet. If "Life Happened" that you can't take my call and hang up, TI will have to move to the next person. "Life Happens", sincere acknowledgement to that, yet the puppies need to know who will take them home. After sorted through and placed puppies accordingly, THEN TI starts the next season's actual pairings...and build their down payment lists by calling people that have made their down payment. With all that shared...I do not keep "contact me please" lists. TI will receive 2-6 forms and phone calls in a day and cannot keep track of so many when those placing down payments on future lists are trusting me for their next pet...and patience! THANK YOU! Thank You!! 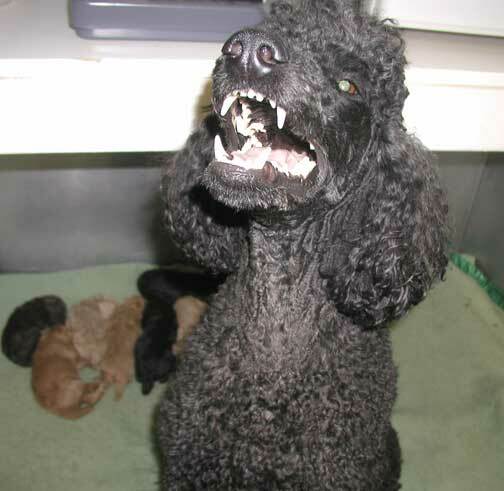 Royal Standard Poodle Puppies for Sale retired Cleopatra smiles with joy at your getting a pup!! C) Our Royal Standard Puppies for Sale are sometimes sold out early due to the truly appreciated response of customers planning ahead and wanting one of my pups - Thank You! THANK YOU!! - Life Happens: Down Payment Lists can change in an instant! 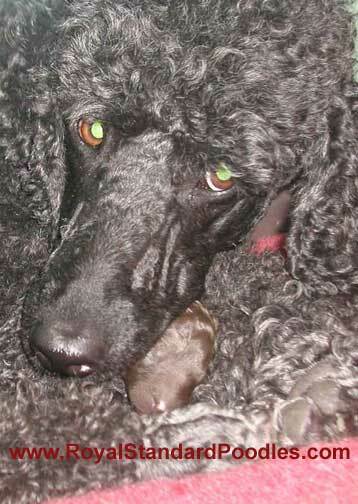 Stay Tuned...after many years of breeding Royal Standard Poodle Puppies for Sale Tes has had many variables that a customer is unable to get that pet once a down payment was made, even at the last minute ready to fly out; legitimate "Life Happens" situations. A List can open up so all TI can share is "Stay Tuned"! If you've made a down payment for a future litter, you just might get a call when Standard Poodle Puppies For Sale opens up!